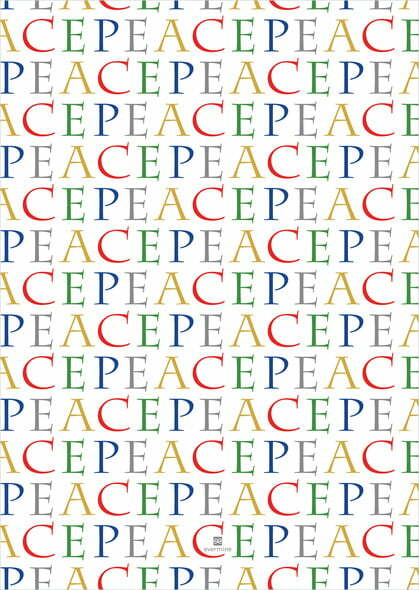 Simple, classic Peace Greeting features three of your photos surrounding the word "PEACE" which is set with each letter in a different bright rainbow color. A wide white border and channels between each photo give these cards a clean, spacious, gallery-art look. The backs of Peace Greeting cards are extra full and colorful with rainbow "PEACE" text repeated across the space and running off all the edges... because can you ever have too much peace? 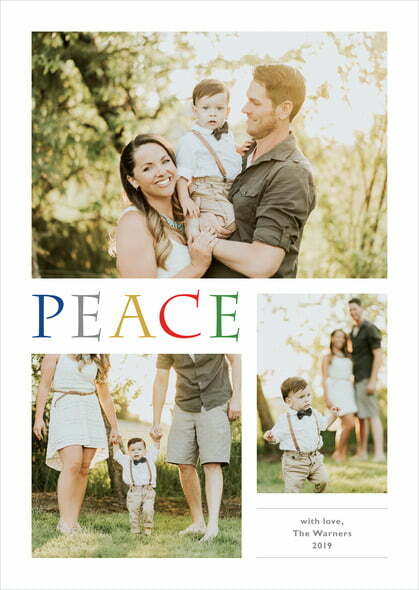 Customize your Peace Greeting holiday photo cards today! Peace Greeting holiday photo cards measure 5" x 7", and are vertical or horizontal depending on the style. You can add a color photo, black and white, sepia, or another special effect. Holiday photo cards print on the front with your main photo and message, and on the back is a background design with room for photos and sometimes text as well. 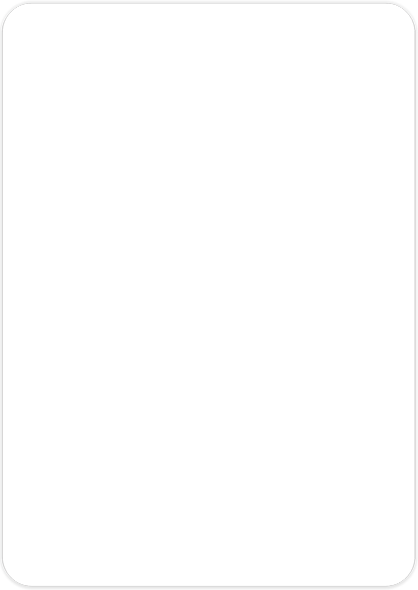 You can choose from our four lovely papers (luxuriously thick signature white or cream, shimmer white, or our thickly textured, white, extra-thick) and nearly unbendable board stock. 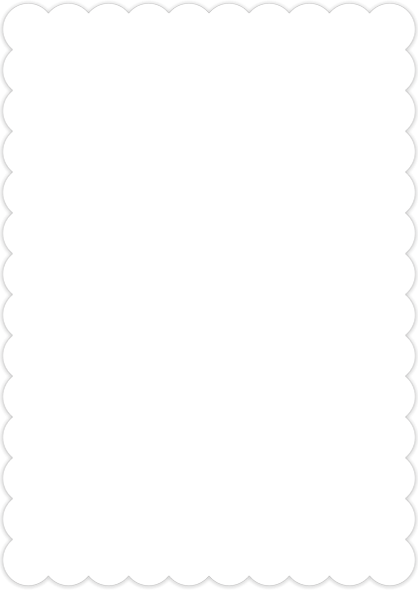 You can also choose a special trim edge (scalloped, rounded corners, or another special shape). Not all trims are available for all holiday photo card styles; we pre-select for you the trim edges that work well with each style. Holiday photo cards and their envelopes come beautifully packaged in a box especially designed for them. Select the green "Personalize" button to begin customizing your Peace Greeting holiday photo cards today!